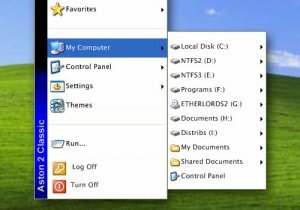 Classic menu for Windows - for all astoneers seeking simplicity. There were so many requests, that we decided to provide you with the old good XP-style menu. Recommended for Windows7 users who do not have ability to apply the classic menu they have become so used to.